To celebrate this beautiful country, Paddock Bakery are bringing back their famous Lamington Doughnut FROM FRIDAY! For 1 week only, tuck into one of Australia’s most iconic treats while you celebrate your long weekend! Mr Buttergoods will have a delicious Lamington Milkshake with Raspberry Jam on offer, PLUS pies & sausage rolls! Also, we better mention that they'll also have green & gold doughnuts! Cubby Bakehouse are once again showing us how it's done by bringing out Iced Vovo Eclairs this Australia Day! There's nothing better than mixing a classic Aussie snack with a delicious dessert, right?! Over at Cubby's sister venue, Bam Bam Bakehouse in Miami are making all of our dreams come true with a lamington cream puff filled to the brim with chocolately goodness, coconut and jam! Nothing is better than cheersing with an all-Aussie cocktail! 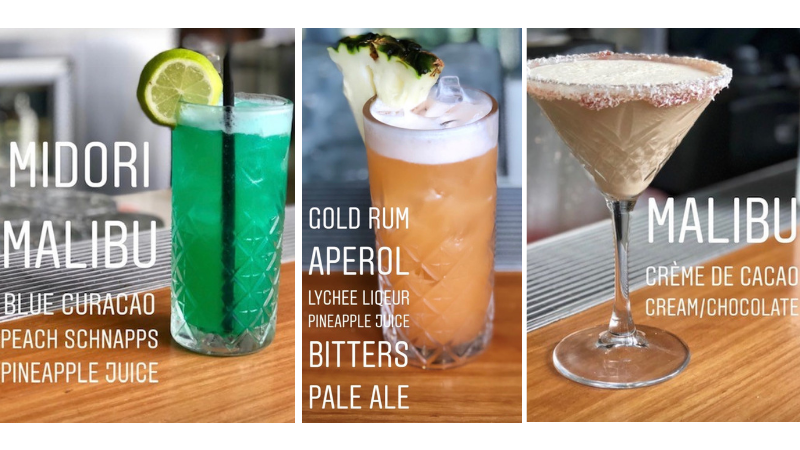 Surfers Paradise Marriott Resort have launched 3 Aussie cocktails to celebrate Australia Day, including The Aussie Sailor, The Bold Green & Gold & The Lamington. Goji are bringing out a Cherry Ripe Coco Fluff to celebrate the Australia Day weekend! The flavour will be a mix of vegan Nutella & Amarena (Italian black cherries) and is set to have tongues wagging! Dig in!